Bill Holm was born on a farm just north of Minneota, Minn., in 1943, and that birthplace came to define him as a writer and a person. Holm traveled the world, including a teaching stint in China and regular visits to Iceland, the land of his forefathers. But he always returned to Minneota, as he explained in an interview with Minnesota Public Radio last year. "The further away from Minnesota that I got, the more I realized that my material as a writer, not just material, but the way in which I saw the world, and the lens through which I observed America, the world and my life, somehow had something to do with this funny little town where I was born," he said. Holm frequently appeared on A Prairie Home Companion and other stage performances. 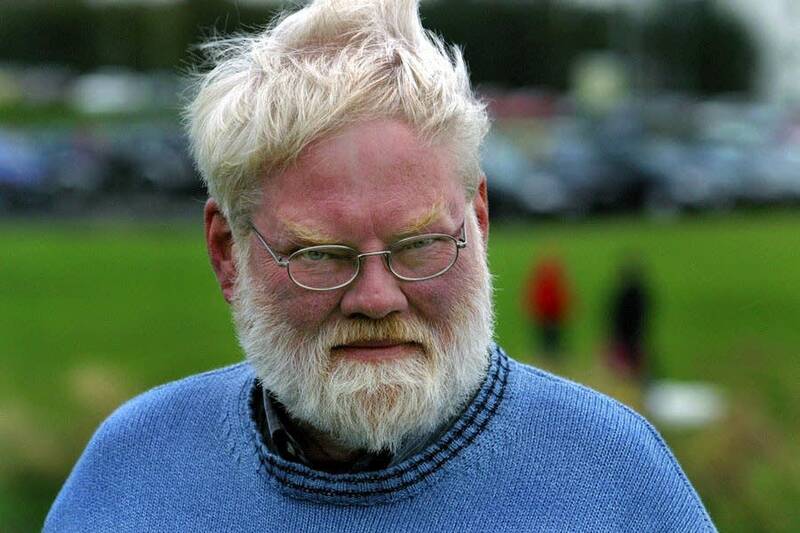 With his big frame, snow white hair, ruddy cheeks and hearty laugh he looked like a wry, disheveled Santa Claus. Fellow writer and farm boy Jim Heynen was Holm's longtime friend. He said Holm was not only larger than life, he was a champion for the little guy -- especially under-appreciated authors. "I'm thinking of how he would walk into a bookstore, and pick a book off the shelf and address everybody in the bookstore about how they should buy that book!" Heynen said. "He would enter a scene and it would be transformed." Heynen says Holm may have died early at 65, but lived more in those years than someone twice his age. He did everything in a grand way, whether he was speaking, eating, or playing the piano. Heynen quotes Holm's two-line poem from "Boxelder Bug Variations," titled How They Die. "Of course it's speaking of box elder bugs, but I'd like to think it would hold true for Bill -- 'They dry up / turn into light.' And I think his light is going to go on shining for a long time for people who bother to pick up his books and start reading," Heynen said. "What's on the page is going to lead them into the significance of his mind and his heart, his very generous heart," said Daniel Slager, publisher of Milweed Editions, which printed most of Holm's poems and essays. Slager said he was particularly drawn to Holm's more political essays, which he says in some ways resemble the writings of Mark Twain. "Constantly vigilant defense of little people, powerless people and a constant suspicion of power and its workings," Slager said. "But never excessively earnest, always infused with humor, good humor and with real love and respect for people from all walks of life." Slager said Holm even blogged the Republican National Convention last September. According to Slager, Holm felt it was important for a poet who could write beautiful lyrics to also be actively engaged with contemporary issues. In an appearance on Minnesota Public Radio's Midmorning in 2004, Holm expressed his frustration with the Bush administration. "How much we need a sense of regret," Holm said. "Not a sense of triumph or a sense of justification or a sense of virtue, but a sense of regret. A sense of having made mistakes, a sense of wrong turnings, a sense of modesty in the face of history and in the face of human beings." Holm won the McKnight Distinguished Artist Award this past year. The award recognizes artists who've made longstanding commitments to the arts as well as to Minnesota. Vickie Benson is the director of the Arts Program at the McKnight Foundation, which presented the award to Holm. They hosted a dinner in his honor, which he requested be held at a little Chinese restaurant known for its authentic food. "Bill insisted that we serve Icelandic vodka to the guests, so he could make wonderful toasts throughout the evening," Benson said. 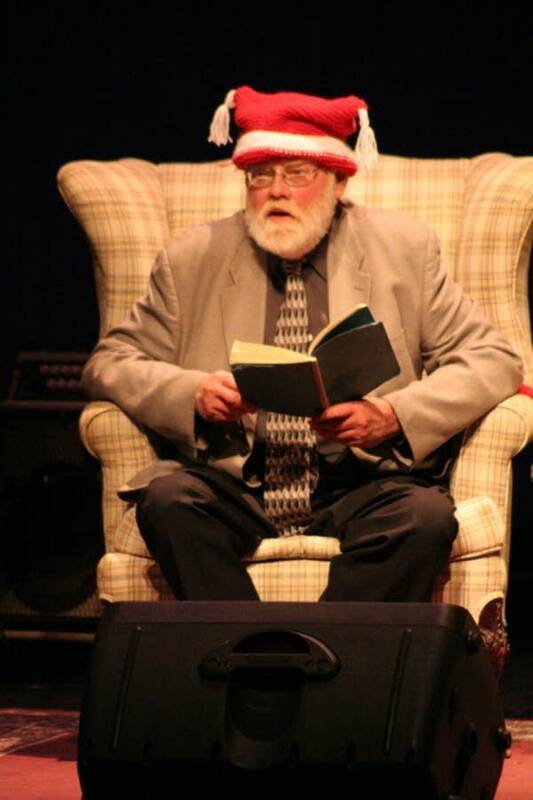 "Bill was in his element, he was so happy, he was reading from many of his books of poetry to us. He asked his Icelandic friend to read, and he asked a friend from China to read, and it was really an evening that showed who Bill was." Benson said Holm called himself a curmudgeon, but always with a huge belly laugh. She said Holm was passionate about life, and wanted other people to be as passionate about it as he was. Like Heynen, Benson finds it most fitting to remember Holm by quoting him. For it is life we want -- we want the world the whole beautiful world alive and we alive in it that is the actual god we long for and seek yet we have already found it if we open our senses our whole bodies, thus our souls. That is why I have written and intend to continue until someone among you takes up the happy work of keeping the chain letter of the soul moving along into whatever future will come. Bill Holm made his final trip home on Wednesday night, flying back from Arizona. He collapsed from heart trouble shortly after getting off the plane. He leaves behind Marcy Brekken, his partner and wife of 30 years.